← Rudraksha Yoga Update: Article on mala beads updated. 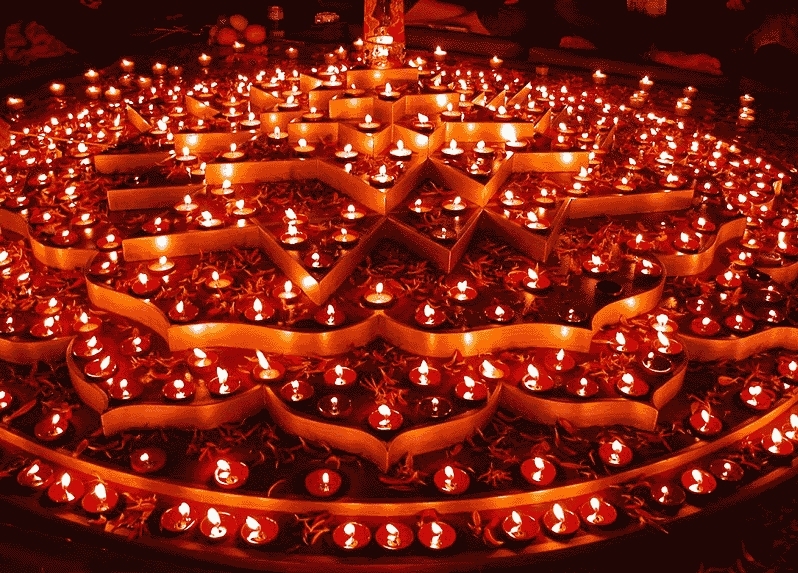 Happy Deepavali, the festival of lights! Rudraksha Yoga wishes all our readers,well-wishers and everybody worldwide a very happy Deepavali! One of the most important Indian festivals, Deepavali, the festival of lights, is celebrated across India and abroad starting from today, i.e. 22 September 2014. Meaning: (Lord!) Take us – from temporary to the Eternal, – from darkness to the Light and – from death to the Immortality(Ever-living)! Let us kindle the Light of Highest Knowledge in our Hearts to destroy darkness of ignorance to realize the Universal Self within Ourselves! This entry was posted in About this Blog and tagged deepavali, diwali, meaning of diwali, real meaning of deepavali, significance of diwali, spiritual meaning of diwali, spiritual significance of deepavali. Bookmark the permalink.